Different schools have different policies regarding how they offer financial aid to students. 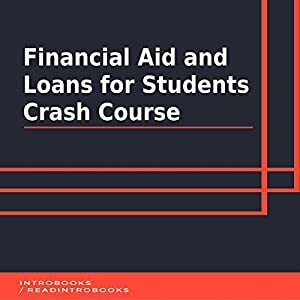 A student seeking financial aid from any particular institution will, therefore, do well to stay abreast of information about that particular institution and its regulations regarding financial aid. Each of these schools has different aims regarding how much of student financial needs they are willing to meet. While some schools, like Columbia University, intend to meet 100% of the students’ needs financially, some other schools go less. Grants are given to students without repayment. The amount of each grant varies based on the level of education and also the complexity of the study work or project. In the case of New York University, for example, grants provided only meet 68% of the student’s needs; this means the student may experience a budget gap. This same school gives most of its aid to students in the form of loans which the student is expected to pay back after graduation. Some conditions also determine how much of the student’s needs the school can meet. A student with solid academic performance, for example, can benefit from a higher percentage of financial aid compared to another student not having such performance. Some other schools consider the financial strength of the student or that of his or her parent when offering financial aids. However, a school like Columbia University, mentioned earlier, does not utilize such a measure to determine who to give student loans; they give their students aid based on merit alone. It translates to the fact that even Bill Gates’ son can get student aid based on merit in this school. There are several other schools in the same category; some such schools offering their students merit aid are Brown University, Pomona College, Amherst College, Williams College, Princeton University, and Massachusetts Institute of Technology. In calculating merit award, the institutions concerned would consider the percentage discount off tuition. Private colleges offer average tuition discount of 33.5%; this means a student can end up paying only $19,650 if the actual tuition fee is $30,000. The cut represents 33.5% of the actual fee. In public college, on the other hand, the student receives just 15% cut off the actual price. The best guide a student can have regarding financial aid is the Common Data Set. It is an amazing document, more or less a treasure trove of statistics on the characteristics valued by the school in its application, retention, freshmen class profile, and enrollment. The document will equally show the number of students requiring financial aid from the institution concerned, as well as the number of students that are given that aid. Furthermore, the document reveals information about the percentage of a student’s needs the institution can meet, how the awards are split between loans and grants, and what an average package is worth.